Congratulations go out to Jack Sinclair who won the WSOP Europe Main Event on Friday for €1.1 million, his first ever gold bracelet title. The Brit outlasted a tough final table that included 2013 world champion Ryan Riess (fourth place for €337,778). Riess “The Beast” was attempting to make history but came up a bit short. Phil Hellmuth, the 1989 world champion, remains the only player to have ever won the WSOP Main Event and WSOP Europe Main Event. 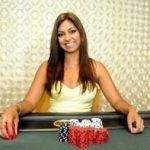 The €10,350 buy-in tournament began last weekend and had 534 entries. That generated a €5,073,000 prize pool pool and 81 players were paid. 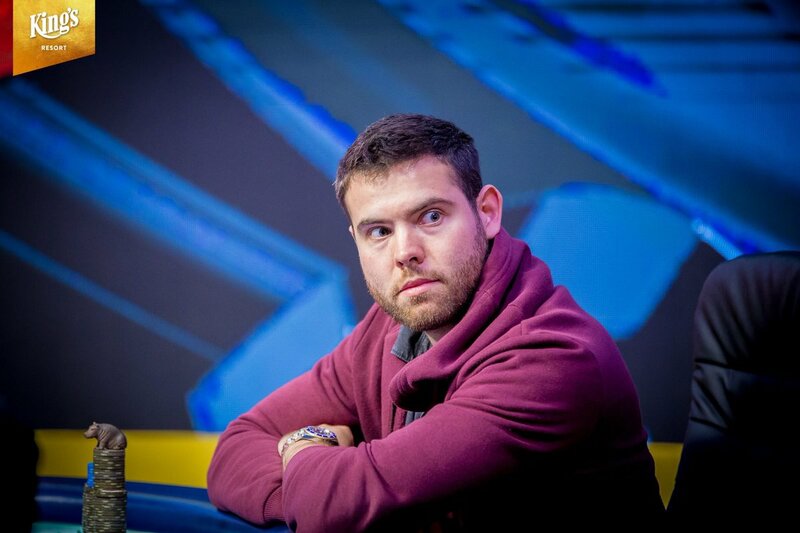 Among the notables who finished in the money but didn’t make the final table include Mustapha Kanit (78th for €15,074), Dietrich Fast (59th for €16,723), Sergio Aido (47th for €20,262), Dario Sammartino (43rd for €20,262), Igor Kurganov (22nd for €31,623), and Koray Aldemir (seventh for €130,350). If you’re trying to figure out why the name Jack Sinclair sounds familiar, you probably watched the 2017 WSOP Main Event final table. He was eliminated in eighth place for $1.2 million. On Friday, the Brit picked up his second seven-figure score in less than two years. He entered the final table just fourth in chips, but he went on a heater early on and was in the chip lead quickly. Riess, who was the chip leader for much of Day Five on Thursday, just couldn’t get anything to go his way on Friday. 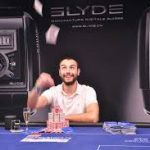 After the 2013 world champion was eliminated, Sinclair busted Yankov, setting up a heads-up match between two players with nearly identical chips stacks. But Bujta, s simply got owned. It was one big pot after another that quickly gave Sinclair a massive chip advantage. Before long, his lead was so big you could barely even tell Bujtas had any chips. He did, however, score a couple of double ups, but never came close to catching up. On the final hand, with a 16-1 chip lead, Sinclair won a near coin flip to finish off the tournament. And with that, the 2018 WSOP Europe series in Rozvadov, Czech Republic comes to an end. As does the entire World Series of Poker season. 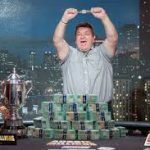 Shaun Deeb, who won two bracelets this summer and nearly won a third this month, is the Player of the Year. When the WSOP returns to Las Vegas in June, a picture of his face will hang atop the Rio Convention Center walls. That’s it, folks. Our 2018 World Series of Poker coverage now officially comes to an end. Congrats to all 88 bracelet winners. Grats dude , nice score …. omg great score :)) wp !! Congrats to the Jack on a huge win! He played fantastic, really gave the fans a show and earning the first gold bracelet of his poker career.